Ecuador is considering U.S. National Security Agency leaker Edward Snowden's asylum request and has been maintaining diplomatic contact with Russia, said Ricardo Patiño Aroca, Ecuador's Minister of Foreign Affairs, Trade and Integration, on Monday. "Ecuador is considering Mr. Snowden's asylum request," said Patiño during a press conference in Hanoi during a visit to Vietnam's foreign minister. The event was live-streamed on the Internet in Spanish and an instant English translation was provided by the BBC. "We have to ask who has betrayed whom," Patiño says. "All of us know he has arrived in the Russian Federation," Patiño said. The Russian government must decide how to handle Snowden in accordance with the country's laws, Patiño said. However, when asked directly, Patiño said he did not know where the leaker was. "Specific information as to his whereabouts ... we can not share that at this moment. We don't have it and we can't share it," Patiño said. Snowden requested the Ecuadorian government to grant him asylum because the U.S. has announced a criminal investigation against him, he wrote in his asylum request, said Patiño. Because he has been accused of being a traitor, life in prison is among the possible sentences, Snowden wrote, according to Patiño. In his request, Snowden also mentioned that Ecuador granted asylum to Wikileaks founder Julian Assange, who is currently staying in the Ecuadorian embassy in London, Patiño said. Snowden compared his situation to Bradley Manning's, who leaked U.S. diplomatic cables to Wikileaks and who, Snowden said, was treated inhumanely during his time in a U.S. prison, according to Patiño. 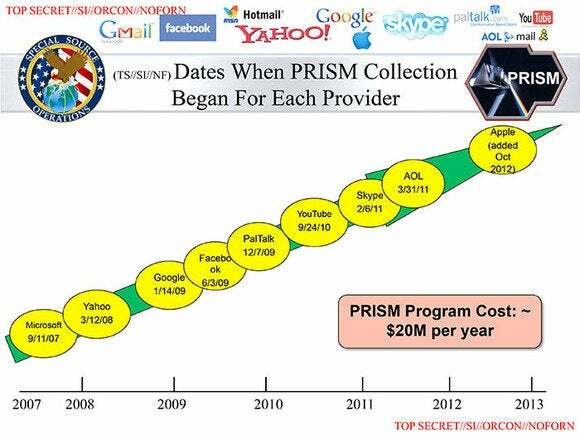 Snowden supplied The Guardian and the Washington Post with leaked slides ostensibly detailing the Prism program. Snowden also said he believes he will not receive a fair trial in the U.S. and thus requested asylum, according to Patiño. Patiño declined to discuss how Snowden would reach Ecuador if his asylum request is granted. Patiño questioned whether what Snowden did was treason. "We have to ask who has betrayed whom," he said. A global espionage plot like Prism—the U.S. government's surveillance program, whose details were leaked by Snowden—does not only affect U.S. citizens but would violate the rights of every citizen in the world, Patiño said. Revealing such a monitoring program might not be treason against the world's citizens but is more likely to be treason against a group of powerful leaders, he suggested. WikiLeaks' Julian Assange has been granted asylum by Ecuador and has been holed up in the country's London embassy for close to a year. The current NSA leaks would have been helpful at the time of the Iraqi invasion that was "based on completely false information," Patiño said. "Wouldn't it have been convenient to have known that before?" he asked, adding that knowing the truth up front could have prevented the deaths of hundreds of thousands, and could have avoided the sorrow of a nation. Reporters' questions at the press conference suggested that sheltering people like Assange and Snowden could be harmful for the Ecuadorian-U.S. relationship. "Of course we are aware of the consequences of our decisions," Patiño said, when asked what effect the possible asylum for Snowden would have on Ecuador's relationship the U.S. However, the U.S. and Ecuador are both sovereign countries that make sovereign decisions, he said. Moreover, Ecuador has requested the extradition of Ecuadorian citizens who fled to the U.S. on several occasions, Patiño said. In those cases the U.S. exercised its sovereignty and decided not to extradite those people, owners of banks, who have harmed millions of Ecuadorians, he said. Ecuador places human rights above any other principle, Patiño said, adding that is one of the main reasons Snowden's asylum request is being considered. Patiño also quoted several articles from the Ecuadorian constitution, one of which states that spying on citizens is illegal. He also referred to the protection of human rights in the U.N.'s Universal Declaration of Human Rights, adding that the fourth and fifth amendment in the U.S. Constitution also address related issues.